Writing about successful neighborhood planning, my friend and colleague Howard Blackson used the term “placeshaker” as a catch-all for the grass roots engagement efforts that empower, but don’t necessarily define, placemaking. That got me thinking. Even though our firm is called PlaceMakers and our blog, PlaceShakers, I hadn’t given a lot of thought to the distinction between the two. Is there a difference and, if so, is it a meaningful one? I’ve decided there is. And defining the distinction is an important step in our shared pursuit of stronger, more endearing, more economically and environmentally viable places to live. Bottom line, you need both. First and foremost, placemaking is about making places so, by default, it favors certain roles and disciplines: planners, urban designers, code writers, economists, municipal leaders, architects, engineers, artists, engaged citizens, developers, and the construction trades. That’s the nuts-and-bolts of it, but what is the consistent theme that ties them all together? I think it’s this: At least in north America, placemaking typically doesn’t exist in the absence of political will and all the assets (financial and otherwise), permissions, and community support that come with it. By definition, placemaking’s a constructive, political effort, bringing change to the landscape. To make it happen, things need to be planned and agreed upon, then built or assembled, and that takes will — in the form of consensus, money and legal authority. So, my partners and colleagues? Placemakers. City officials embarking on master planning or zoning reform? Placemakers. Artists changing the nature of space through installations or murals? Placemakers. Citizens in a roundtable meeting, exploring opportunities and spelling out how they might be better served by their city? Placemakers. See the photo at the top of this article for an illustration of that concept. 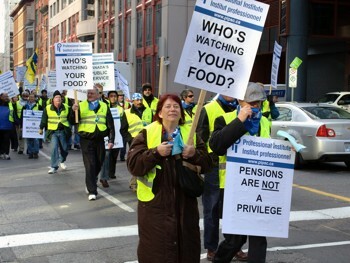 And the advocates, instigators, rabble rousers and the like? Well…. More often than not, political will doesn’t just exist. It emerges. It morphs and grows through some amorphous combination of shoe leather, influence, and persistence. And that means placemaking doesn’t just happen. In political terms, placemaking represents the ends, not the means. It’s the tangible payoff to seemingly endless political skirmishes. And the way to get there? Placeshaking. Every time someone puts a “Slow Down” sign in their yard, or throws down some sod and lawn chairs in a city parking space, or rallies to give a downtrodden block a temporary facelift, they’re placeshaking. Every time a group of neighbors starts hounding their commissioner to improve a park, or cyclists show up en masse at a commission meeting to validate the scope of their support, or a college student circulates an idea on how to leverage abandoned rail corridors for transit, recreation and green space, they’re placeshaking. Place Shaking. Source: Build a Better Block, via Next City. Placeshaking is about connecting with networks of shared interest and rattling cages. It’s about phone calls and rallies and blog conversations and demonstration projects. It’s about all the things that need to be done, just so we can begin the hard work of placemaking. For all the cool stuff coming out of the Tactical Urbanism movement, it tends (at least in our estimation) to appeal primarily to the young. How can we expand the idea to be appealing to more types of people? Maybe placeshaking is it. Maybe placeshaking is the umbrella under which Tactical Urbanists, Build-a-Better-Blockers, neighborhood activists, cyclists, pedestrian rights advocates, carbon reducers, yarn-bombers, community gardeners, aging-in-placers, and countless others looking to effect meaningful change through concentrated action, can find a sense of shared purpose. I don’t know, as movements and monikers are a tricky thing to pin down. But I think the distinction between placemaker and placeshaker is coming clear, as is the relevance and role of each. Some may find themselves in one camp, some in the other, and some bouncing back and forth, wearing different hats at different times. Two sides of the same coin, united in a joint quest for a better place to call home. What about you? Where do you plug in? And what skill set is presently most needed where you live? A cornerstone of new urbanist practice, charrettes are often hard to finance: Here’s a guide to making them work on a tight budget. Note: This article was written as part of the Project for Lean Urbanism and edited for Public Square. 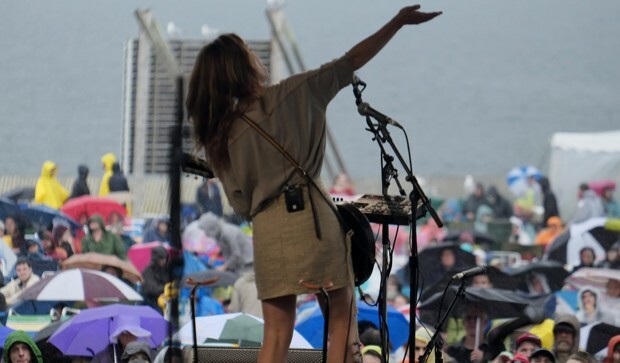 Over the past decade, even as there has been a growing fascination with the benefits of charrettes as a tool for planning and public engagement, there has been a constant complaint that charrettes are too expensive. This complaint has become more common and more urgent in recent years, with shrinking budgets and tightening competition among firms for a smaller pool of available work. The first step in Leaning the charrette process is a matter of shifting the scope and focus of the projects themselves to which the charrette is being ap­plied, and re-configuring the roles played by consultants, planning staff, appointed and elected officials, and citizens. In the context of the Lean Urbanism, the appro­priate version of the charrette would indeed be less expensive, but also more readily deployed as a tactical response in a pragmatic setting. We are looking for processes that leverage community capabilities, that can be mobilized with minimal expense, that can be mobilized quickly in timely response to cir­cumstances, and that are oriented to mobilizing social capital in order to get the most impact on the quality of the urbanism with the least in­vestment of either financial or political capital. A Leaner charrette would be more focused on a specific piece of an incremen­tal process, would be facilitated by a smaller team less focused on the final documentation and more on building community relationships, and would leverage the available social capital more consistently with respect to shared learning, consensus building, and ultimately practical action. There are five key dimensions of the charrette process that we would want to maintain in the context of a Lean charrette. 1. Multi-disciplinary and integrative approach. Special­ized expertise is often useful or even necessary, but can also be an obstacle to arriving at an op­timal response to more complex planning and design projects. 2. The benefits of efficiency and continuity associated with the compressed time frame. The scheduling of char­rette-related activities should sustain a sense of engagement in a process that moves from big ideas to practical action, that addresses prob­lems systematically but pragmatically, and that respects the time and contributions of all par­ticipants. When the process is spread out over a longer period, there is a real danger of losing that sense of continuity and purpose as stake­holders are engaged. 3. Transparency in decision making. Participants in a charrette process have the opportunity to see (and understand) the reasons behind choices that comprise any particular scheme, any particular solution. 4. Constructing a common narrative. The story of a process that is purposeful and continuous allows clear understanding of the transition from values to practical action/the motivations of actors, through a pattern of listening and responding. 5. The hybrid nature of the forum. The charrette process is not dismissive of stakeholders’ concerns or their local knowledge, but gives local knowledge standing in relation to the general knowledge of experts. Considerations that might not otherwise be heard are given the opportunity to make a difference. Professional expertise has tendency to screen information through specialized knowledge— it is, as Kenneth Burke once observed, a way seeing that is also a way of not seeing. Both the multidisciplinary and the hybrid nature of the forum offered by the charrette opens up the process in ways that both allows for more complex and robust solutions, and provides a basis for building consensus. One way to begin breaking out the functions typ­ically involved in a charrette is to distinguish be­tween the design process and the public engage­ment process. First, it is a multidisciplinary and collaborative approach that produces complex re­sponses to complex planning challenges. Second, it is about the shared learning necessary to build consensus around those complex responses. Fi­nally, there is the focus on the ability to generate a basis for post-charrette action. 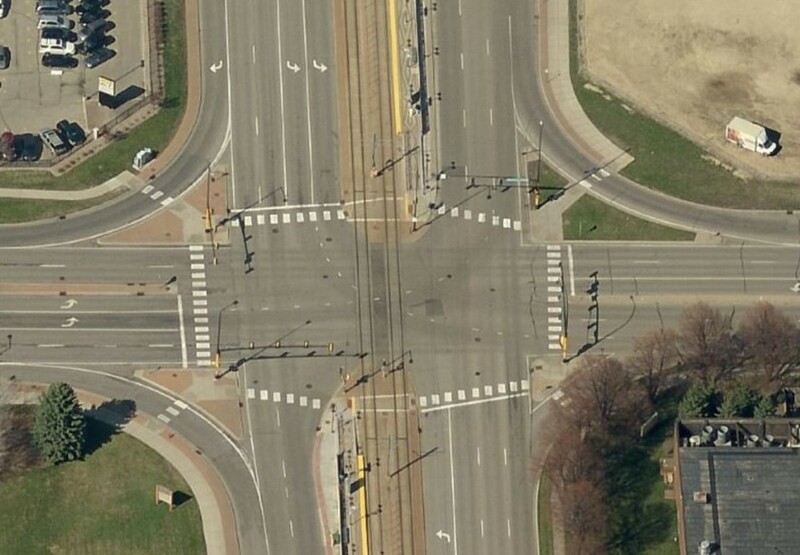 The following is an example of a way the process might be organized in order to be both relatively inexpensive and more capable of being precisely tailored for a Lean Urbanism project. Step 1: Collaborative project start-up. It is all too often the case that the client and consultant team involved in a charrette tend to feel their way into a charrette through a process of negotiation that does not always involve clear communication. Part of the National Charrette Institute (NCI) approach involves an initial pro­cess of team building and project definition that outlines the scope and parameters of the project, enabling project partners to get very clear about the purpose and limits of their collaboration. This approach to project start-up would involve a small team facilitating a process that enables project partners and key stakeholders to establish clear framework for the project. Much of the fo­cus would be on clarifying the precise scope of the project, identifying the resources necessary for the design and planning process (base data, ex­pertise), and establishing the relationship between the design process and stakeholder engagement. In the case of preparing for a Lean charrette, the most important aspect of this would be setting in motion a process that builds social connections, establishes shared knowledge, and leverages exist­ing community assets to build the foundations for clear decisions and precisely targeted, strategical­ly meaningful action. An example of this kind of process is the Lean Scan, developed by Hank Dit­tmar and the Prince’s Foundation for Community Building. The Lean Scan “is a new tool for find­ing latent opportunities in a town, a district or a corridor and leveraging under-used assets in a way that unlocks synergies between built, financial, so­cial and natural resources.” The collaborative project start-up would set in motion this kind of exploration of “latent opportunities” and unrealized capabilities in the community, preparing the ground not just for planning but for a robust implementation strategy. Step 2: Practical vision workshop. Many times, what people call “charrettes” are essentially just “visioning” exercises. What distinguishes a char­rette process, however, is that it moves from the big ideas that might be articulated during such a workshop to the specifics of design and plan­ning proposals. The purpose of this workshop is to establish those common understandings that might enable a community to act outside usual regulatory channels. Often resistance to change is manifested in defense of procedural and tech­nical restrictions — not because they matter in themselves to the defenders, but because they are points of leverage that allow activists to obstruct a project. In a community of sophisticated activ­ists, it can be very hard to move efficiently past bureaucratic regulation for this reason. A vision workshop could be focused, in particular, on es­tablishing the principles and goals of immediate practical action. In a community that is interested in Lean Urbanism, such a workshop might pro­vide a locally grounded manifesto that establishes the framework for a series of Lean projects. This visioning might well be coupled with something like a Tactical Urbanism workshop. Step 2a: Discovery process. Charrette team lead­ers facilitate a process that enables stakeholders to participate in gathering relevant information, organizing a process of shared learning, prepar­ing for the design process to come. This process needs to be geared to the specific conditions and assets of a community, but the key is that it is pri­marily an exercise in community organizing, as well as information gathering. Whereas it might simply be a matter of carrying out some pre-char­rette interviews with stakeholders, it would have the greatest impact to the extent that it involves mobilizing social capital, engaging both allies and potential opponents in building the foundation of local knowledge to feed into the design process. This could either be part of the vision workshop or an immediate follow-up to it, as the circum­stances might require. Step 3: Design charrette. Once the founda­tional conditions have been established by the prior efforts, it is then possible to stage a 3 to 4 day process, involving a small multidisciplinary team working in collaboration with stakeholder representatives who have been prepared for this collaboration by the previous process. The char­rette could focus on design and spend less time on the vision and learning process that takes place in conventional charrettes. The precise scope of de­sign, principles, constraints, aspirations would be part of the previously established consensus, mak­ing it possible for a smaller multidisciplinary team to work through the iterative process of design in collaboration with organized representation of stakeholder interests. Because much of the shared learning, relationship building, and consensus building would be systematically organized ahead of time, the design charrette can be more focused on the design work, building on the foundations of pre-established understanding. With an understanding of what it is about the charrette process that gives it the ability both to produce robust, adaptive and integrated solutions to complex problems, and to build support for those solutions, it becomes possible to distribute the functions of the charrette throughout a pro­cess that requires less concentrated application of financial resources (although more extensive application of community capacities that can be identified and mobilized through this process). The result is that one can do more with less in the way of financial resources. If one calculates a budget with respect to the number of days and team members required to accomplish the work, it is arguably possible to accomplish the planning and design pieces of the project for a half to a third of the budget that might be required for a fully staffed seven-day charrette. Perhaps most im­portantly, however, the outcomes of the charrette process would be more consistently oriented to active intervention rather than simply producing a plan or a report. With particular regard to Lean Urbanism, there are two most significant considerations. First, it is a matter of getting the right people in the room as a way to cut through the structural obstacles set up by bureaucracy and the division of labor. The “right people” (in this case) includes the key decision makers but also key stakehold­ers who can share ownership of the initiative. To move efficiently, however, requires a certain amount of pre-established agreement with respect to values, goals, and some important limits to be respected. For example, a previous set of discus­sions and workshops might have established and branded a Lean project, linking it to a diverse set of interest and allies. Whatever the specific project might be at hand, it can be conceived as a manifes­tation of that initiative and thereby benefit from what is hopefully a diverse collection of allies. Second, it is a matter of focusing the discussion with respect to scale, time frame, and, in some cases, reversibility. The charrette works because it allows for participation in a detailed “enquiry by design” (to borrow the phrase from the Prince’s Foundation). Tactical Urbanism works because it functions effectively as a kind of inquiry by prac­tice. A Lean charrette would be a way to mobilize strategically meaningful interventions that might have some of that tactical spirit, but be aimed at a cumulative and sustainable outcome, of a sort that might require somewhat more systematic applica­tion of expertise. Each week, In Theory takes on a big idea in the news and explores it from a range of perspectives. This week, we’re talking about car-free cities. Need a primer? Catch up here. J.H. Crawford is the author of “Carfree Cities” and “Carfree Design Manual,” and publisher of Carfree.com. We must first remember that all cities were car-free little more than a century ago. Not all cities responded to the advent of automobiles with the same enthusiasm as the cities of the United States. In fact, some cities never did adopt the car. Venice was unwilling to destroy itself in order to build streets wide enough for cars, and therefore has never had them except in a sliver near the mainland. The same situation exists in the Medina of Fez, Morocco, and several other North African cities. These districts are usually the most vibrant parts of their cities. Cars were never necessary in cities, and in many respects they worked against the fundamental purpose of cities: to bring many people together in a space where social, cultural and economic synergies could develop. Because cars require so much space for movement and parking, they work against this objective — they cause cities to expand in order to provide the land cars need. Removing cars from cities would help to improve the quality of urban life. Transport modes have always exerted a strong influence on the basic arrangement of cities. The current form began to emerge in the 15th century, when the advent of horse-drawn carriages led to a demand for wide, straight streets. This requirement was adopted by Renaissance planners in most of Europe, and most urban plans of the past 500 years have straight streets that are relatively wide and corners that accommodate turning carriages. In many ways, this change was a harbinger of the automobile. Transport, however, is not the only important use of streets. Streets are also our most important public social spaces. Most cities in Europe now acknowledge the terrible damage cars have done to this use, which is why cities all across Europe are discouraging automobile use in favor of walking, cycling and public transport. This is most clearly illustrated in Oslo, the first European capital to announce that its downtown core will soon be made car-free in order to reduce carbon emissions and improve air quality, as well as to improve conditions for pedestrians and cyclists. Battery-powered and driverless cars do not affect this situation to any great degree. They still demand too much street space for their movement and use too much energy. The movement of significant numbers of cars through the streets will always damage streets’ social use, regardless of how quiet and safe the cars may be. Only when people can stop in the middle of the street to talk without fearing what may be bearing down on them will we have fully restored the social function of streets. Good public transport coupled with fast, safe, pleasant walking and bicycling can easily meet the need for movement within our cities. 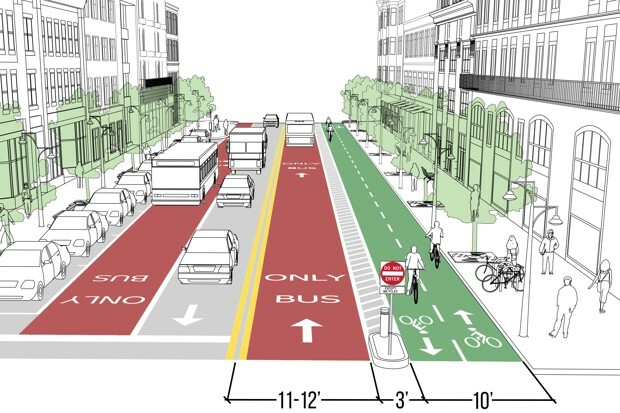 It is true that buses and streetcars do intrude on the main streets to an appreciable degree, but many streets will be entirely free of this annoyance. In the ideal case, public transport systems are constructed underground. (Ideally, transport systems should never be elevated, because of the ugliness, intrusion and noise that that causes.) This will not be practical in many existing cities because of the cost, and some burden of street traffic will have to be endured. A more serious objection to the car-free city is the movement of freight. When building a city, it is a simple matter to arrange delivery of shipping containers to the places they are needed without impinging on streets. In existing cities, freight delivery systems will have to be arranged on a case-by-case basis. Amsterdam could, with little difficulty, deliver freight using its canal network. Cities that adopt streetcars for passenger service can use the same infrastructure to deliver freight at night. Removing vehicles from our streets would make urban life cheaper, safer, quieter and more pleasant. Repurposed parking spaces and, in some cases, travel lanes would provide ample land for walking and cycling, plus any essential street-running public services, such as light rail, trash collection and emergency services. The surplus land can be devoted to public purposes — imagine Manhattan with sidewalks 15 feet wider and room for sidewalk cafes. Governments should welcome the change. 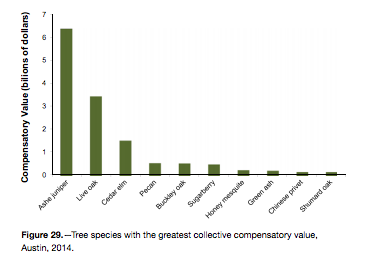 The cost of supporting car traffic far exceeds the revenues generated by user fees. In Europe, it is the densest places that are first made car-free, and the pedestrian traffic generated by these places is the heaviest in the city. Stores and restaurants thrive in these areas. I believe that the social benefits alone entirely justify the change. Imagine a busy city that is calm, quiet and beautiful. Venice, which comes closest to meeting this test, is visited by 20 million people a year, the most of any Italian city. Other car-free areas are immensely popular with residents and tourists alike. Shopkeepers have often opposed these changes, only to discover that their business improved once cars were gone. It is true that a certain degree of convenience must be sacrificed for this change. However, the benefits are large, and we can expect significant improvements in public health as people return to more active modes of transport. The noise reduction alone is a significant public health benefit. The car century was a seductive mistake. It’s time to move on. 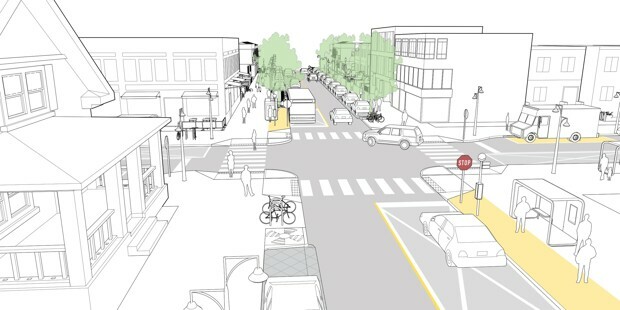 Urban planners are finally recognizing that streets should be designed for people, not careening hunks of deadly metal. After over a hundred years of living with cars, some cities are slowly starting to realize that the automobile doesn’t make a lot of sense in the urban context. It isn’t just the smog or the traffic deaths; in a city, cars aren’t even a convenient way to get around. Traffic in London today moves slower than an average cyclist (or a horse-drawn carriage). Commuters in L.A. spend 90 hours a year stuck in traffic. A U.K. study found that drivers spend 106 days of their lives looking for parking spots. Now a growing number of cities are getting rid of cars in certain neighborhoods through fines, better design, new apps, and, in the case of Milan, even paying commuters to leave their car parked at home and take the train instead. Unsurprisingly, the changes are happening fastest in European capitals that were designed hundreds or thousands of years before cars were ever built. In sprawling U.S. suburbs that were designed for driving, the path to eliminating cars is obviously more challenging. (And a few car-loving cities, like Sydney, Australia, are going in the other direction, and taking away pedestrian space on some downtown streets so there’s more room for cars). Here are a handful of the leaders moving toward car-free neighborhoods. Madrid has already banned most traffic from certain city streets, and this month, the car-free zone will expand even further. Stretching over more than a square mile, the area will still allow neighborhood its own residents to drive, but anyone else who enters will be hit with a fine over $100. It’s one step in a larger plan to completely pedestrianize central Madrid in the next five years. Twenty-four of the city’s busiest streets will be redesigned for walking, not driving. Before the street layouts change, cars will also be discouraged in another way: Now the dirtiest, most polluting cars in the city have to pay have to pay more to park. Last year, when smog levels spiked in Paris, the city briefly banned cars with even-numbered plates. Pollution dropped as much as 30% in some areas, and now the city plans to start permanently discouraging cars. In the city center, people who don’t live in local neighborhoods won’t be able to drive in on weekends, and that rule could soon roll out to the whole week. By 2020, the mayor plans to double the number of bike lanes in the city, ban diesel cars, and limit certain high-traffic streets to electric cars and other ultra-low-emission vehicles. The number of drivers in the city is already starting to drop. In 2001, 40% of Parisians didn’t own a car; now that number is 60%. A new satellite city planned in Southwest China could serve as a model for a modern suburb: Instead of a layout that makes it necessary to drive, the streets are designed so any location can be reached by 15 minutes on foot. 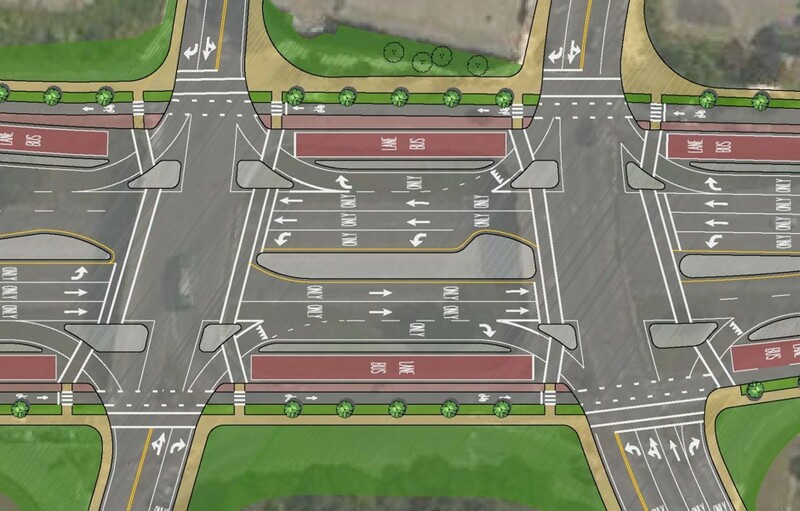 The plans, designed by Chicago-based architects Adrian Smith and Gordon Gill, don’t call for completely banning cars, but only half of the road area will allow motorized vehicles. The city will also connect to the larger, nearby city of Chengdu with public transit. Out of an expected population of 80,000 people, most will be able to walk to work in local neighborhoods. The project was originally planned for completion in 2020, but that may be delayed—it’s currently on hold because of zoning issues. Though Hamburg isn’t planning to ban cars from its city center (as has been misreported elsewhere), the city is making it easier and easier not to drive. A new “green network,” which will be completed in the next 15 to 20 years, will connect parks across the city, making it possible to bike or walk anywhere. The network will cover 40% of the city’s space. The city is also covering up sections of the infamously crowded A7 autobahn with parks—so neighborhoods that were once hard to cross on foot will soon be more inviting. Helsinki expects a flood of new residents over the next few decades, but the more people come, the fewer cars will be allowed on city streets. 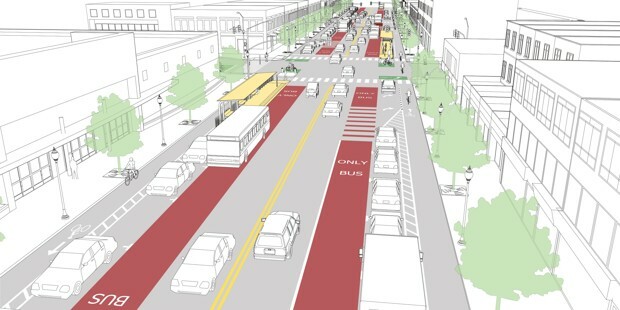 In a new plan, the city lays out a design that will transform car-dependent suburbs into dense, walkable communities linked to the city center by fast-moving public transit. The city is also building new mobility-on-demand services to streamline life without a car. A new app in testing now lets citizens instantly call up a shared bike, car, or taxi, or find the nearest bus or train. In a decade, the city hopes to make it completely unnecessary to own a car. The smoggy city of Milan is testing a new way to keep cars out of the city center: If commuters leave their vehicles at home, they’ll get free public transit vouchers. An Internet-connected box on the dashboard keeps track of a car’s location, so no one can cheat and drive to work. Each day someone’s car stays at home, the city sends a voucher with the same value as a ticket on the bus or train. Forty years ago, traffic was as bad in Copenhagen as any other large city. Now, over half of the city’s population bikes to work every day—nine times more bike commuters than in Portland, Oregon, the city with the most bike commuters in the U.S.
Copenhagen started introducing pedestrian zones in the 1960s in the city center, and car-free zones slowly spread over the next few decades. The city now has over 200 miles of bike lanes, with new bike superhighways under development to reach surrounding suburbs. The city has one of the lowest rates of car ownership in Europe. None of these cities are planning—yet—to go completely car-free. And it’s possible that may never happen; it’s likely that future cities will have at least a small fleet of self-driving electric cars on hand that can eliminate some of the current challenges around parking, congestion and pollution. But it’s also clear that urban planners are finally recognizing that streets should be designed for people, not cars. 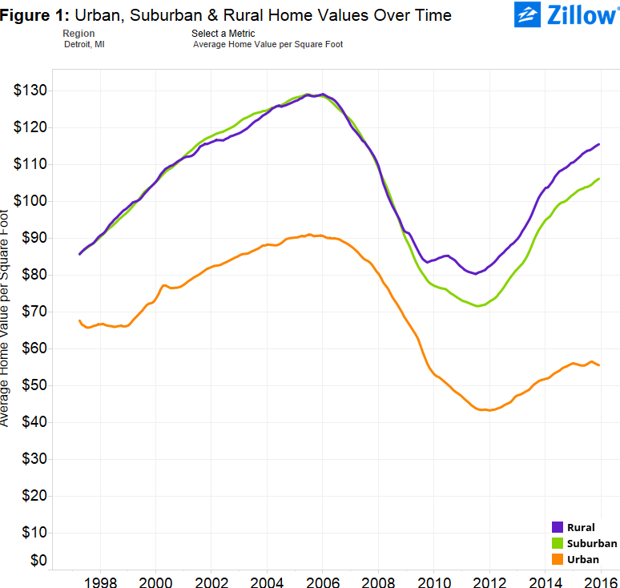 New data from Zillow shows that average urban home prices in the U.S. now surpass those of the suburbs. Back in the late 1990s and early 2000s, urban and suburban homes in the U.S. used to be worth about the same on a per-square foot basis. But since the mid-2000s, urban homes have been worth more per square foot. 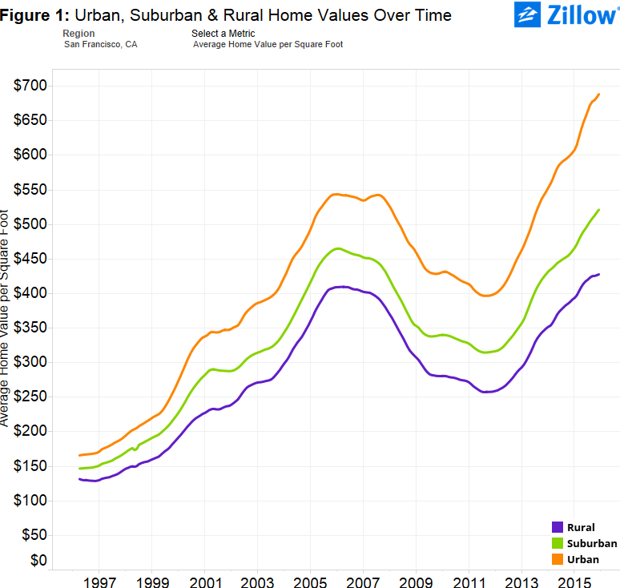 Today, as a fascinating new report from Zillow on the shifting geography of American home values explores, urban homes nationwide are now valued at roughly 25 percent more than suburban ones on a per-square foot basis ($198 versus $156 per square foot). What’s more, by the end of 2015, the average value of an urban home exceeded that of its suburban counterparts by 2 percent ($269,036 compared to $263,987). 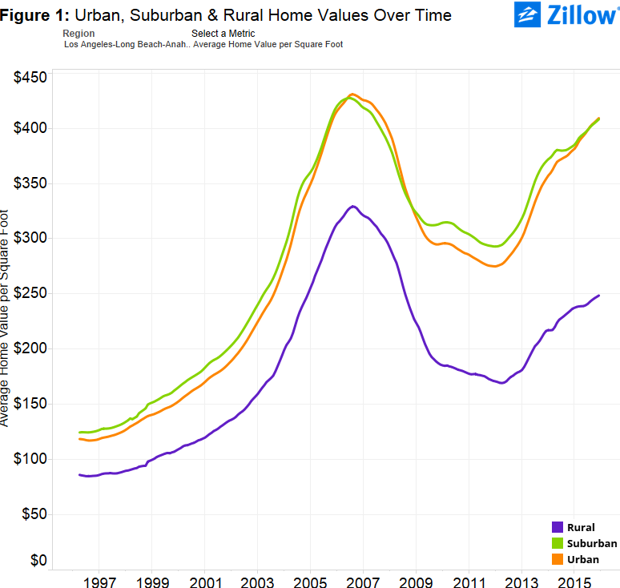 As the chart below shows, this overturns a long-held pattern of suburban homes having higher values than homes in urban areas—and this despite the fact that suburban homes tend to be considerably larger than urban ones. This trend is clearly being driven by the extremely high price of urban homes in talent and knowledge hubs such as San Francisco, Boston, and Washington, D.C. In Boston, for example, urban and suburban homes were each valued at around $100 per square foot in 1997. By 2015, Boston’s urban homes were worth nearly $400 per square foot compared to nearly $250 per square foot for suburban ones. In Washington, D.C., urban and suburban home values also started off at around $100 per square foot in 1997. By 2015, urban values exceeded $300 per square foot compared to around $225 per square foot for suburban homes. And in San Francisco, urban and suburban homes were each worth about $150 per square foot in 1997. But by 2015, urban homes commanded nearly $700 per square foot compared to nearly $500 per square foot in the suburbs. In some metros, urban and suburban values have in fact grown more or less in tandem. In L.A., for example, urban and suburban home values started off at roughly the same level (around $120 per square foot in 1997) and by 2015, both were worth roughly $400 per square foot. Detroit, unsurprisingly, bucks all these trends. Back in 1997, both suburban and exurban homes there were valued at around $85 per square foot, compared to nearly $70 per square foot for homes in urban neighborhoods. Today, exurban homes command the highest prices per square foot—roughly $115—compared to $105 per square foot for suburban homes and just $55 per square foot for homes in urban neighborhoods. 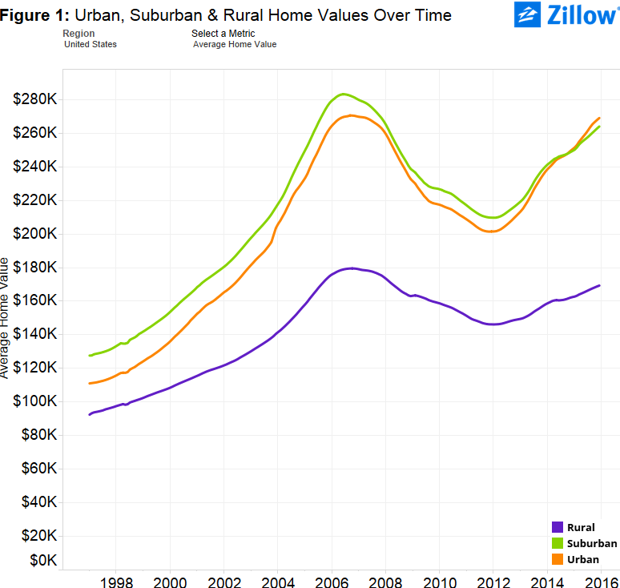 Meanwhile, home values per square foot for metros like Pittsburgh, Philadelphia, Cincinnati, and Cleveland are in fact highest in suburban areas today, followed closely by rural ones. Still, while the pattern of rising home values in the U.S. certainly differs by location, the overall trend does appear to signal a growing preference for urban living over the past decade. 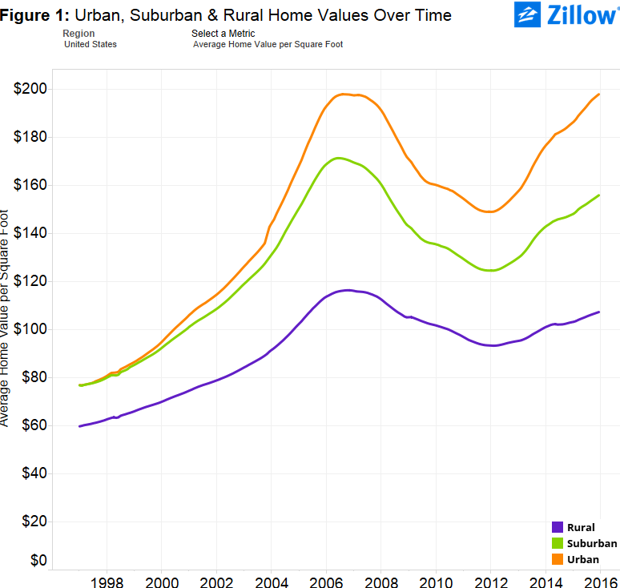 Zillow’s report built upon the economist Jed Kolko’s methodology for identifying urban, suburban, rural areas based on ZIP code density, and one of its most striking findings is that between 2010 and 2015, growth in the value of urban homes nationwide far outpaced that of the suburbs. Over this period, average urban home values increased by more than 28 percent, compared to just 21 percent for suburban homes. Last year alone, urban home values nationwide grew by 7.5 percent, compared to 5.9 percent for those in suburban areas. For three generations, the American Dream was largely defined by continual suburban expansion. The dream was based on exclusivity and “keeping up with the Joneses.” Driving was so essential that all other means of getting around became practically impossible. Privacy was everything. 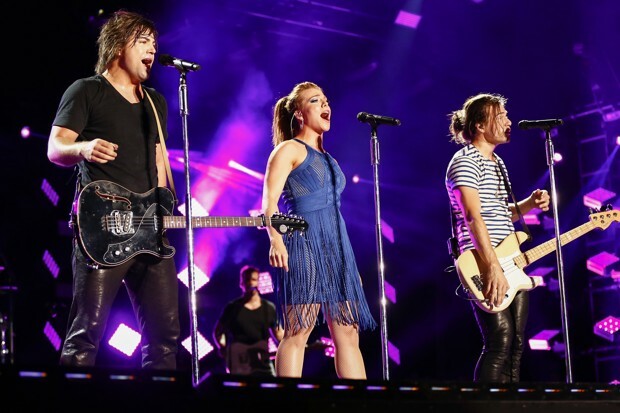 A new America Dream has emerged in recent years. It is based on social and cultural diversity and the idea of community. 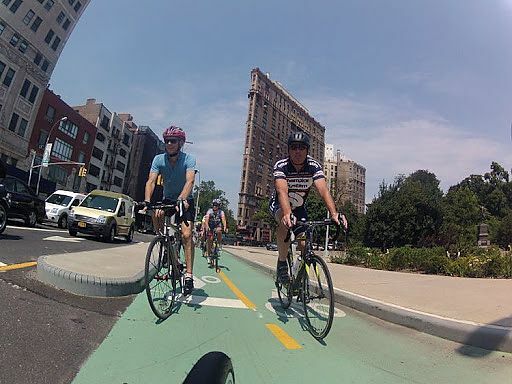 This dream is more about great streets than highways. You can drive if you want, but you can also walk, ride a bike, take transit, or join carshare. In this dream, the things you are connected to are more important than who you are separated from. 10) Driving has been declining for 10 years. “Our national flower is the concrete cloverleaf,” wrote Lewis Mumford in 1961. Driving per person continued to rise steadily for 43 years after that, and then it stopped. Automobile miles per capita have declined every year since 2004. Also, those concrete cloverleafs have become expensive maintenance problems. One could say the national flower has begun to wilt. 9) Millennials want urban place. Today’s young adults – the Millennials — were the first generation to be born and raised mostly in communities where the indoor mall was the main street and the parking lot was the town square. As adults, this generation rejected the isolation and generic character of drive-only suburbs. Millennials aren’t the only people today embracing compact, mixed-use neighborhoods — but a dramatic shift in youth preference points to a long-term trend. 8) Walkable places help you climb the ladder of success. The story of ambitious young people going to the city to make something of their lives appears again and again in our literature, movies, and theater. This story is not just a literary device, according to a 2013 study. Social mobility is higher in compact urban places, Arizona State University researchers found. The more walkable the census block — as measured by Walk Score — the more likely someone from the bottom fifth of income will reach the top fifth in their lives. It is no wonder then that New York City — America’s most walkable city — is a magnet for immigrants and other folks pursuing the American Dream. 7) Productivity and innovation thrive as density rises. Studies in recent years have shown that in compact places with good transit, economic activity rises due to more face-to-face contact with knowledgeable people (link, link). 5) You are less likely to die in a pool of blood if you are raised in an urban place. Parents have long moved to quiet suburbs for safety. Some are questioning whether this quest for safety has gone too far. The entire culture of childhood has changed, according to a recent article in The Atlantic. Children no longer have their own places to roam and explore. Moreover, a 2013 University of Pennsylvania/Children’s Hospital of Philadelphia (CHOP) study challenges the entire notion that suburbs are safer. The study examines, for the first time comprehensively, all kinds of accidental and violent deaths in America. Contrary to conventional wisdom, urban streets are significantly safer than leafy suburbs and rural areas. While counterintuitive at first glance, the finding is not hard to fathom if you think about it. The number one US cause of death from ages 5 to 34 is automobile crashes, according to the Centers for Disease Control. Deadly automobile crashes are far less likely on lower-speed urban streets. 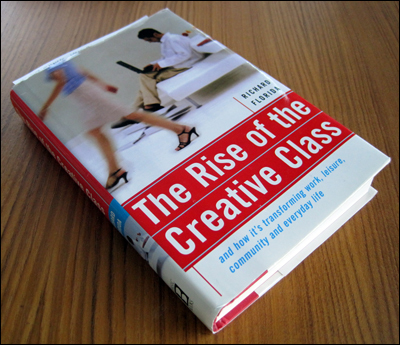 2) Downtown and in-town neighborhoods are home to the “creative class.” Coming up with this term has made the career of author, academic, and researcher Richard Florida. Whether urban or suburban, big city or small, communities want the educated people that provide the economic spark — known as the “creative class.” Seeking the creative class, businesses have begun moving back into town from suburban campuses. Van Buren Street, Phoenix, today. Image courtesy of Duany Plater-Zyberk. Van Buren transformed, by Steve Price of Urban Advantage, for Reinvent Phoenix. 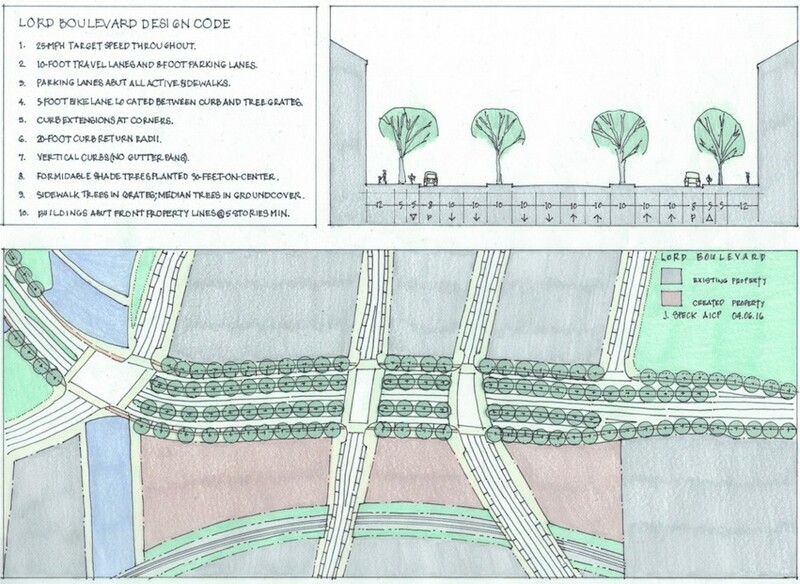 Concepts for the street retrofit were via Duany Plater-Zyberk and Crabtree Group. 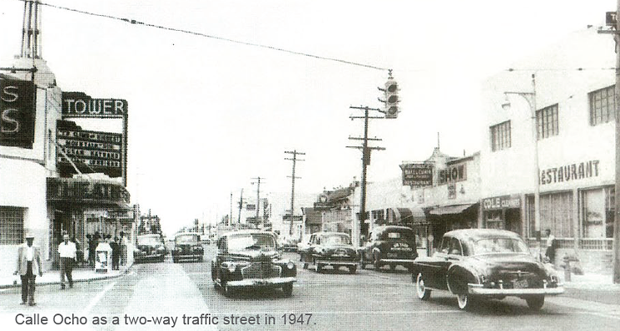 The first image, a commercial strip arterial, has one big advantage: It is legal. The second image is not technically difficult to achieve. Most zoning codes and the automobile-oriented practices of departments of transportation stand in the way. This new American Dream has the market on its side, but will require coalitions in local communities to muster the political will for reform. I could come up with 10 or 20 more reasons for the new American Dream. Could you? Robert Steuteville is executive director and editor of Better! Cities & Towns, dedicated to communications, competence, and coalitions for better cities and towns. Jeff Speck has dedicated his career to determining what makes cities thrive. And he has boiled it down to one key factor: walkability. Making downtown into a walkable, viable community is the essential fix for the typical American city; it is eminently achievable and its benefits are manifold. Walk-able City―bursting with sharp observations and key insights into how urban change happens―lays out a practical, necessary, and inspiring vision for how to make American cities great again. Everyone is calling for smart growth…but what exactly is it? In The Smart Growth Manual, two leading city planners provide a thorough answer. From the expanse of the metropolis to the detail of the window box, they address the pressing challenges of urban development with easy-to-follow advice and broad array of best practices. With their landmark book Suburban Nation, Andres Duany and Jeff Speck “set forth more clearly than anyone has done in our time the elements of good town planning” (The New Yorker). With this long-awaited companion volume, the authors have organized the latest contributions of new urbanism, green design, and healthy communities into a comprehensive handbook, fully illustrated with the built work of the nation’s leading practitioners. In the twenty-first century, cities worldwide must respond to a growing and diverse population, ever-shifting economic conditions, new technologies, and a changing climate. Short-term, community-based projectsandmdash;from pop-up parks to open streets initiativesandmdash;have become a powerful and adaptable new tool of urban activists, planners, and policy-makers seeking to drive lasting improvements in their cities and beyond. These quick, often low-cost, and creative projects are the essence of the Tactical Urbanism movement. Whether creating vibrant plazas seemingly overnight or re-imagining parking spaces as neighborhood gathering places, they offer a way to gain public and government support for investing in permanent projects, inspiring residents and civic leaders to experience and shape urban spaces in a new way. 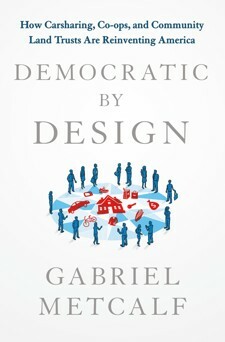 A conversation with Gabriel Metcalf on his new book, Democratic by Design. “Things aren’t right in America today”: In his important new book on social innovation, Gabriel Metcalf—executive director of the urban policy think tank SPUR (San Francisco Planning and Urban Research Association) and a CityLab contributor—opens with this all-too-familiar sentiment. Rising inequality, deepening segregation, and increasingly unaffordable housing are just a few of the many problems currently plaguing the U.S. These issues are no more evident than in America’s dense, large urban communities, which boast some of the greatest technology and innovation in the world, but also some of the harshest economic and class divides. To make things right, Metcalf argues in Democratic by Design, we need to make more and better use of alternative institutions like cooperatives and community land trusts to help build more sustainable, socially responsible, and prosperous communities. Drawing from his experience as an urbanist and one of the founders of the car-sharing movement in North America, Metcalf documents how a range of alternative institutions—which operate outside of traditional government agencies and differ from traditional companies—can help U.S. cities tackle some of the major issues they face today. To delve deeper into this, I put a series of questions to Metcalf about exactly how he sees these alternative institutions helping to build better and more sustainable cities in the future. When do alternative institutions actually succeed at becoming the new normal? What is the secret sauce to making that happen? First, organizers have to pick the right institution—something that can work within the world as it is today, while also opening up possibilities for a different world. Second, I think it’s really important to be oriented toward engagement with the broadest possible set of people—to recruit, in other words—rather than treating alternative institutions as a means of escape from the dominant society. The hope is that the alternative institutions can actually grow and outcompete the mainstream institutions, and this can only happen if the organizers have a real commitment to connecting with new people. Third, the most successful examples of an alternative institution strategy involved the creation of networks. Alternative institutions work best when they are embedded in a broader progressive movement, and when they are linked up with other alternative institutions. Your experience with co-founding San Francisco’s City CarShare informs many of your insights on sustainable living. What was the impetus for starting the program, and what do you think it achieved in the city of San Francisco? We got the idea for City CarShare from the Berlin car-sharing co-ops in the early 1990s. As a group of young sustainable city activists, it had a lot of intuitive appeal. If nothing else, reducing the number of cars that have to be stored inside urban areas would free up real estate for better uses—parks, housing, whatever. We also understood the so-called “love affair with the automobile” as a cultural pattern that was deeply ingrained with oil wars and suburban sprawl and a very destructive form of settlement pattern, so we thought anything we could do to re-position the meaning of the car in American society would be helpful. We had a lot of big dreams for this project. And some of them came true. I think it’s amazing to see how much young people today are doing everything they can to avoid the hassles of car ownership. But we have a long way to go. How has the concept of alternative institutions evolved since credit unions and co-ops first came on the scene? There have been several big waves of alternative institution-building in the United States. Some of the most long-lived institutions date from the New Deal era—credit unions, rural electricity co-ops, and the like. 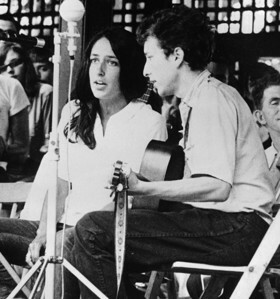 The New Left of the 1960s launched a wave of free clinics, organic food co-ops, and alternative newspapers. I’ve personally gotten very interested in attempts to develop new ways to manage and allocate the “big resources”—land and capital—so I spend a lot of time on those. You describe city-building as a “layering of history” in which “each generation builds to solve the problems it faces.” What does the role of alternative institutions look like in our future cities? Cities are almost never built from scratch. Part of what I’m trying to do is unpack the political intention behind city building—to make the goals and ideals visible. And I think that one of the ways we achieve abstract goals like promoting sustainability or resilience or equity or community is through devising different physical arrangements and different institutional forms for our cities. There is a major role for alternative institutions in our future cities. This includes a lot more experimentation with physical form and infrastructure—more ecologically benign buildings, a reinvention of public space, a rethinking of mobility systems, and an embrace of new models for providing renewable energy. It also includes a new wave of experiments with place-based economic development. And most fundamentally, it involves the creation of new institutions of land ownership and stewardship. Your book cites some examples of current efforts that have a lot of potential. Which of them stands out to you as particularly exemplary? Some of the alternative institutions I am most excited about today include community land trusts (I profile the Champlain Housing Trust in Burlington), attempts to link anchor institutions to local economic development strategies (the Evergreen workers cooperatives in Cleveland), and efforts to redeploy capital to socially responsible firms—both non-profit and for profit—to enlarge the space for high-road enterprises. One of the interesting parts of the book is the “Appendix,” where you develop a sort of intellectual history of the idea of alternative institutions. What were the most important influences on your thinking as you put that together? The Appendix is actually one of my favorite parts of the whole book, because that’s where I get to give credit to some of the thinkers who mattered most to me. I draw on everything from deToqueville and Putnam on voluntary associations, to the social anarchists of the 19th century, who wanted to “prefigure” the way a society would work in their ideal world. Gar Alperovitz of the Democracy Collaborative has done a lot of the most practical work developing and supporting alternative institutions and thinking through a theory of how they can lead to widespread social change. One of my own teachers, the late Murray Bookchin, was a major influence on me in his writings about democracy, cities, and alternative institutions. I hope that my book helps give this strategy a higher profile, and that other people—both theorists and activists—will pick up the ideas and develop them in new ways. Why Aren’t Urban Planners Ready for Driverless Cars? Self-driving cars have the potential to be the most transformative force in American cities since the development of the interstate system. And yet when it comes to preparing for the future of autonomous travel, urban planners have been largely idle. Just how idle? As of mid-2013, just one of the 25 largest metropolitan planning organizations in the U.S. had so much as mentioneddriverless cars in its long-term regional plan. This bleak preparatory record comes courtesy of University of Pennsylvania planning scholar Erick Guerra, who reports the findings in the Journal of Planning Education and Research. Federal law requires MPOs to produce regional plans every four years that look at least 20 years out—a horizon that could easily coincide with the mainstream arrival of self-driving cars. But when Guerra combed these plans for signs of autonomous vehicles, he came up virtually empty. In other words, none of the planning organizations looking after America’s 25 biggest metros had incorporated self-driving cars into their urban development outlook in a substantial way, even looking ahead two decades. The timeline is unsettling, as is the scope: together, these 25 areas make up 40 percent of the national population. And if these MPOs weren’t on top of things, writes Guerra, it stands to reason that smaller cities haven’t prepared much for driverless cars, either. So what’s the holdup here? To get a better sense, Guerra interviewed some of the planners in the MPOs whose reports he’d explored. It’s not for lack of awareness. Local planners obviously know about driverless cars, and many who discussed them with Guerra used technical jargon like “Level 4,” which describes a fully autonomous vehicle. Nor is there any lack of technological faith. Guerra found the planners to be “cautiously optimistic, rather than skeptical” that self-driving cars would not only emerge in the coming years but have a big impact on travel behavior, safety, and urban land use—the very mandates of MPO existence. Fair enough. No one knows for sure what types of social changes will come with driverless cars, and the possible outcomes can vary dramatically. On one hand, if people buy their own autonomous vehicles, they might also choose to live farther away from work, knowing their commute will be less stressful and likely more productive. On the other hand, if people partake in shared networks of robotaxis—buying mobility by the drink instead of the bottle, as Princeton’s Alain Kornhauser puts it—they might double down on the convenience of central city life. But even the MPOs interviewed by Guerra recognize that too much hesitation over imponderables becomes its own sort of planning decision. 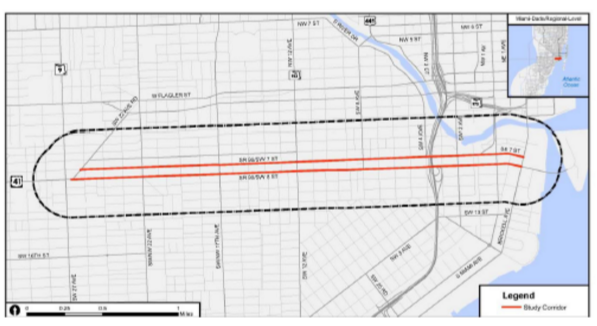 Take a basic highway expansion plan that’s in the works. 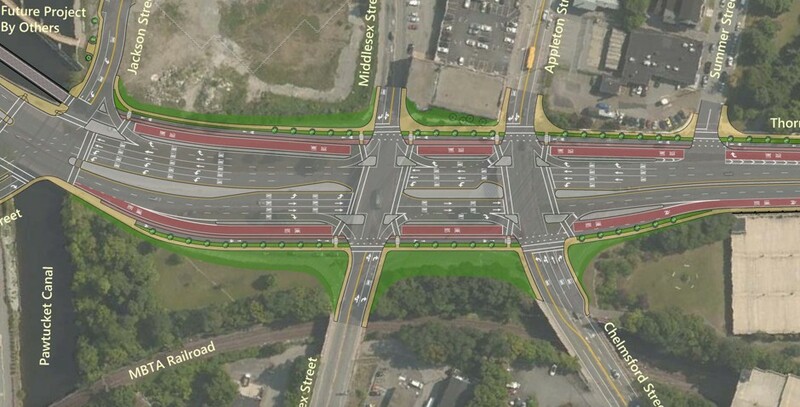 Local officials might go through with the project, only to discover that the extra lanes are unnecessary in an age of driverless cars, which can safely operate closer together and thus serve as a de facto road expansion by themselves. There’s only so much road money to go around: using it for expansion instead of maintenance can be a big mistake. Several interviewees worried that a number of currently planned investments might be unnecessary if driverless cars increase effective roadway capacity. Worse yet, if the planners who best understand local transportation networks don’t set their sights on a driverless world, politicians with particular agendas will do it for them. Just look at the case of Pinellas County, Florida. Last fall, one local official used the promise of self-driving cars to oppose increased bus service and a new light rail system for the area, based on the (highly debatable) presumption that autonomous technology would make public transportation obsolete. There are understandable reasons why some MPOs are reluctant to engage with planning changes of this magnitude. MPOs are conservative and largely reactive by nature. Insofar as their jobs guide the wise use of limited taxpayer funding, they’re wary of pushing piles of public money toward speculative ends. Self-driving cars are but one of many potential transportation game-changers (Philly’s long-range plan lists 31 others). It’s impossible to prepare for every one with equal intensity. Unfortunately, the extent and direction self-driving cars’ impacts, particularly if transformative, are unlikely to be fully understood until they have already started to happen. For his part, Guerra offers several suggestions to MPOs. He urges them not to envision a perfect future where the technology totally or immediately eliminates huge problems like congestion, crashes, or pollution. He also pushes for adaptable plans that evaluate “a range of potential outcomes,” as opposed to one-size-fits-all plans that have become the norm. And he encourages MPOs to pursue investments that make sense with or without driverless cars: bridge repairs or pedestrian projects, for instance, will remain relevant in any foreseeable future. Along those lines, it also makes sense for planners at all levels to look for areas where existing patterns and driverless possibilities converge. Parking policy is a clear example. As more and more cities realize the problems with excess parking—namely, higher rents and worse traffic—they’re eliminating or reducing their developer parking requirements. In a driverless age, when people can either send their cars home or hop in a robocab, dedicating lots of public space to parking makes less sense still. Some federal guidance would help. There’s been little of it to date. The U.S. Department of Transportation has explored connected technology that can coordinate travel patterns among cars, roads, and traffic infrastructure, but autonomous vehicles can operate without these intelligent networks in place. The DOT just announced a $40 million contest for the midsized city that crafts the most tech-savvy transportation plan, but major metros aren’t eligible. The new transportation bill did set aside a little funding for autonomous vehicle research, but it’s probably less than what tech start-ups spend each year on pita chips. Whatever it takes to get MPOs and local governments thinking about the impact of driverless cars on urban development, the better. At this point, given the pace of planning operations, there’s probably no such thing as too soon. But there’s definitely a too late. The word charrette is French for “cart” or “chariot”. In the École des Beaux-Arts in Paris in the 19th century, it was not unusual for student architects to continue working furiously in teams at the end of the allotted term, up until a deadline, when a charrette would be wheeled among the students to pick up their scale models and other work for review while they, each working furiously to apply the finishing touches, were said to be working en charrette, in the cart. Émile Zoladepicted such a scene of feverish activity, a nuit de charrette or charrette night, in L’Œuvre (serialized 1885, published 1886), his fictionalized account of his friendship with Paul Cézanne. The term evolved into the current design-related usage in conjunction with working right up until a deadline. The word charrette may refer to any collaborative session in which a group of designers (plus stakeholders and the public) drafts a solution to a design problem. While the structure of a charrette varies, depending on the design problem and the individuals in the group, charrettes often take place in multiple sessions in which the group divides into sub-groups. Each sub-group then presents its work to the full group as material for further dialogue. Such charrettes serve as a way of quickly generating a design solution while integrating the aptitudes and interests of a diverse group of people. Charrettes take place in many disciplines, including land use planning, or urban planning. In planning, the charrette has become a technique for consulting with all stakeholders. This type of charrette typically involves intense and possibly multi-day meetings, involving municipal officials, developers, and residents. A successful charrette promotes joint ownership of solutions and attempts to defuse typical confrontational attitudes between residents and developers. Charrettes tend to involve small groups, however the residents participating may not represent all the residents nor have the moral authority to represent them. Residents who do participate get early input into the planning process. For developers and municipal officials charrettes achieve community involvement, may satisfy consultation criteria, with the objective of avoiding costly legal battles. Other uses of the term “charrette” occur within an academic or professional setting, whereas urban planners invite the general public to their planning charrettes. Thus most people encounter the term “charrette” in an urban-planning context. “A charrette is a multiple-day, collaborative design workshop. It harnesses the talents and energies of stakeholders and all interested parties to create and support a feasible plan that represents transformative community change. A charrette is a holistic, collaborative planning process during which a multiple-day charrette is held as the central transformative event. The CNU charrette is a collaborative design event spanning 5-days. The goal of the charrette is to produce a feasible plan with minimal rework that benefits from the support of all stakeholders through its implementation. This support is facilitated by the ability of the charrette to transform the mindsets of the stakeholders. 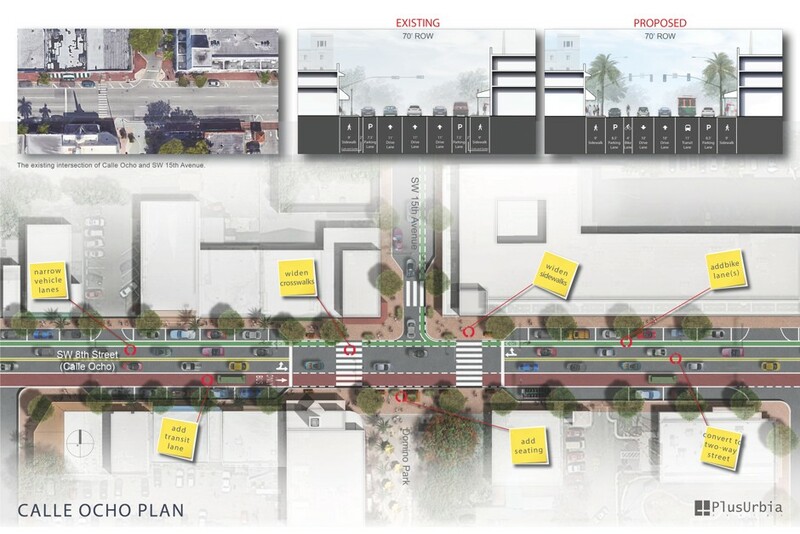 A multidisciplinary charrette team, consisting of CNU consultants and sponsor (City of Oxnard) staff, produces the plan. Stakeholders – those being anyone who can approve, promote or block the project as well as anyone directly affected by the outcomes – are involved through a series of short feedback loops or meetings. Most stakeholders attend two or three feedback meetings at critical decision-making points during the charrette. Note that stakeholders are not at the charrette all the time. These feedback loops provide the charrette team with the information necessary to create a feasible plan. Just as importantly, they allow the stakeholders to become co-authors of the plan so that they are more likely to support and implement it. A major reason the charrette needs to last at least 5-days is to accommodate 3 feedback loops, the optimal number for gaining stakeholder understanding and support. Charrettes take place in a charrette studio situated on or near the project site. While the event may vary the CNU charrette generally follows the following format. The charrette team first conducts an open public meeting to solicit the values, vision, and needs of the stakeholders. The team then breaks off to create alternative plans or scenarios, which are presented in a second public meeting usually a day or two later. The team then synthesizes the best aspects of the alternatives into a preferred plan that is developed in detail and tested for economic, design and political feasibility. The charrette concludes with a comprehensive presentation at a final public meeting. After the charrette, the project enters into the document creation phase. During this phase the charrette team tests and refines the charrette plan. Communication with stakeholders also continues through e-mail, websites, blogs, and possibly social media. During a follow-up public meeting, held about 6-weeks after the charrette, the refined plan is presented for another feedback session. The results and process of all 3 charrette system phases are summarized in a final project report ready for agency approvals. All interested parties must be involved from the beginning. Having contributed to the planning, participants are in a position both to understand and support a project’s rationale. A multi-disciplinary team method results in decisions that are realistic every step of the way. The cross-functional process eliminates the need for rework because the design work continually reflects the wisdom of each specialty. During the charrette, design ideas are created based upon a public vision, and presented within hours for further review, critique, and refinement. Regular stakeholder input and reviews quickly build trust in the process and foster true understanding and support of the product. A feedback loop occurs when a design is proposed, reviewed, changed, and re-presented for further review. Lasting agreement is based on a fully informed dialogue, which can only be accomplished by looking at the details and the big picture concurrently. Studies at these two scales also inform each other and reduce the likelihood that a fatal flaw will be overlooked in the plan. To create a feasible plan, every decision point must be fully informed, especially by the legal, financial, and engineering disciplines. The focus on feasibility brings a level of seriousness and rigor to the process for everyone involved. Design is a powerful tool for establishing a shared vision. Drawings illustrate the complexity of the problem and can be used to resolve conflict by proposing previously unexplored solutions that represent win/win outcomes.